Every universe starts somewhere and this July, Fred Van Lente and Juan José Ryp are going back to the beginning of the Valiant universe. 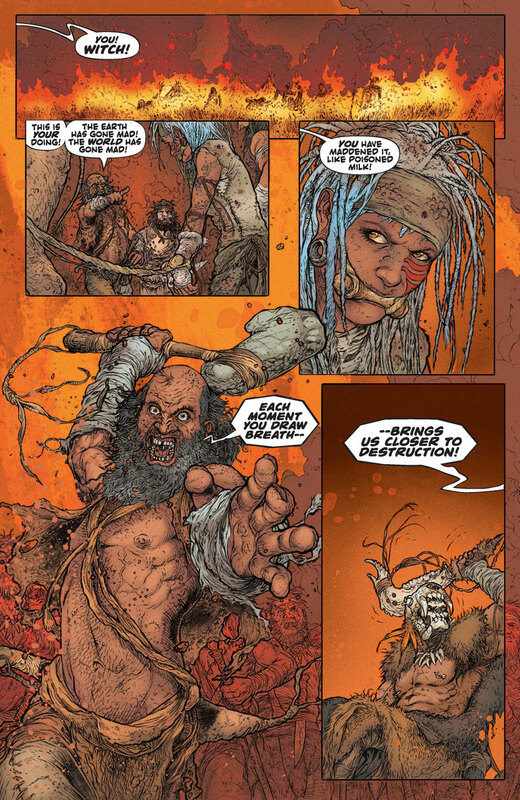 In Book of Death: Legends of the Geomancer #1, fans will go along with them to discover the never-before-told origin of the ancient order of the Geomancers. 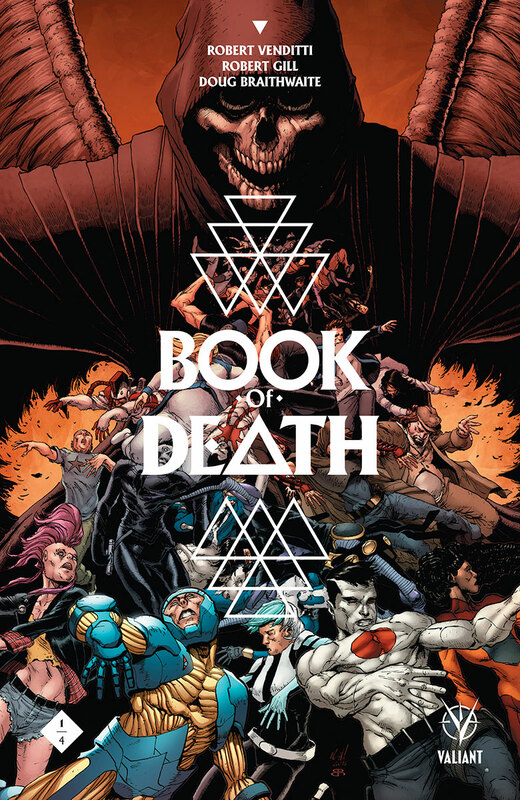 Created specifically to promote Valiant’s upcoming Book of Death event, all four issues of Book of Death: Legends of the Geomancer will be printed in limited quantities and will only be made available to retailers who qualify based on their orders of Book of Death #1-4. 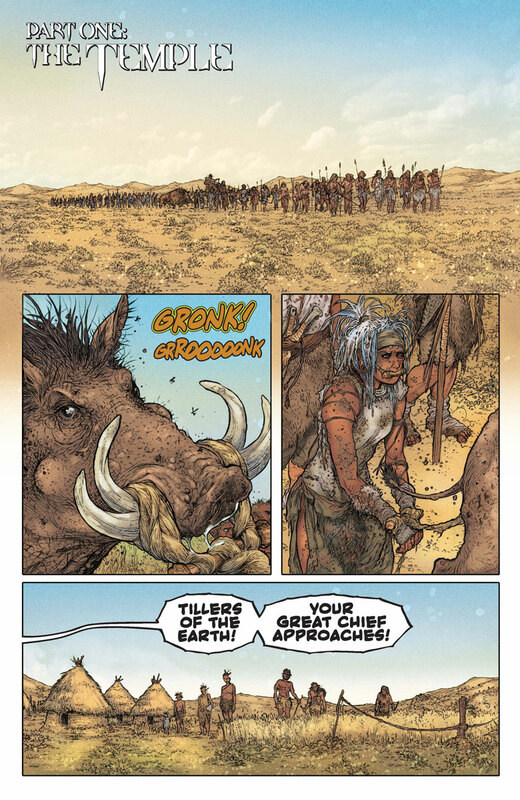 At last, the saga of the very first Geomancer – a mysterious tribal warrior known only as Anni – and the sacred pact that swore her to the service of the Earth can finally be told…but, with it too, the source of the divine mysteries that have haunted the Geomancers' line for centuries. But has Anni's mission redeemed or corrupted the world that followed in her wake…and will the ultimate secrets of the Geomancers’ book doom us all in the end? 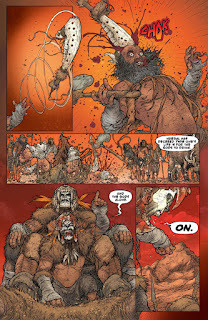 Fred Van Lente and Juan José Ryp Decode BOOK OF DEATH: LEGENDS OF THE GEOMANCER #1 (of 4) – Coming in July! 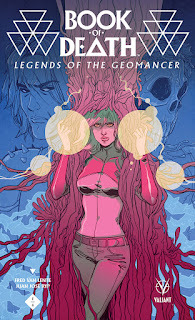 This July, journey back to the dawn of the Valiant Universe to find out where the legend of the Geomancer began…and how a warrior mystic named Anni changed the course of humanity forever! Valiant is proud to present the first look inside BOOK OF DEATH: LEGENDS OF THE GEOMANCER #1 (of 4) – the FIRST ISSUE of the first-of-its-kind, retailer-exclusive limited series from New York Times best-selling writer Fred Van Lente (IVAR, TIMEWALKER) and blockbuster artist Juan José Ryp (NINJAK)! 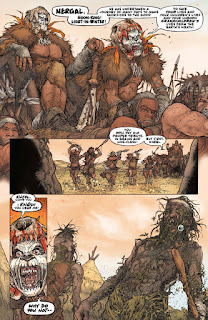 For the very first time, discover the never-before-told origin of the ancient order of the Geomancers and the sacred warrior that began their line right here with a special, standalone companion to the upcoming BOOK OF DEATH event – available ONLY at your local comic shop! 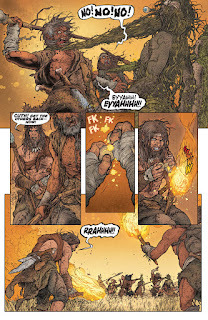 Before BOOK OF DEATH #1 (of 4) rains fire, blood, and war on the most powerful heroes of today, all-star creators Fred Van Lente and Juan José Ryp reveal the never-before-told tale of the Earth's first Geomancer on July 15th in BOOK OF DEATH: LEGENDS OF THE GEOMANCER #1 (of 4) – a special incentive limited series that won't be made available digitally or collected for the trade! Featuring a cover by fan-favorite artist Marguerite Suavage (Thor Annual), contact your local retailer to find out how to reserve your copy of this standalone companion to the summer's cataclysmic comic book event! 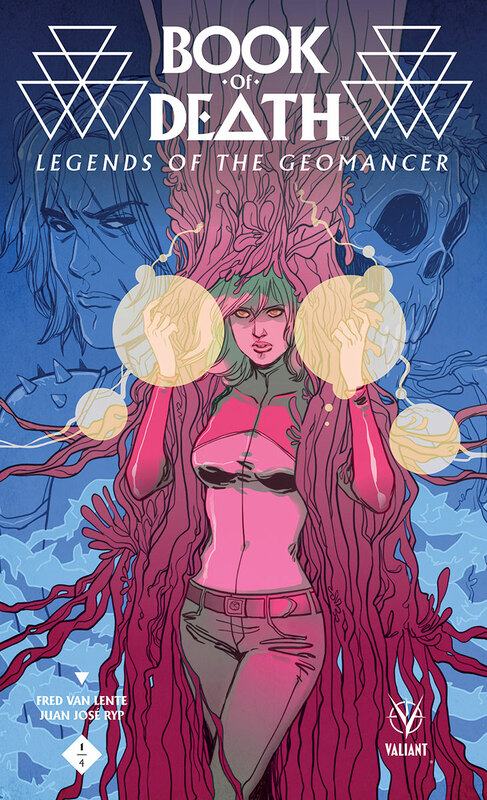 Created specifically to promote Valiant’s upcoming BOOK OF DEATH event, all four issues of BOOK OF DEATH: LEGENDS OF THE GEOMANCER will be printed in limited quantities and will only be made available to retailers who qualify based on their orders of BOOK OF DEATH #1-4 (of 4). Featuring a complete narrative wholly separated from the main BOOK OF DEATH event, BOOK OF DEATH: LEGENDS OF THE GEOMANCER stands on its own as a tale of the Valiant Universe's prehistoric origins and can be read independently of any other BOOK OF DEATH tie-ins. Fans interested in obtaining this special incentive limited series should contact their local comics retailer to pre-order today! 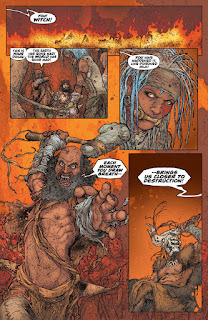 Plus: also in stores on July 15th, the heroes of the Valiant Universe are all that stand between the present day and the dark future foretold in the Book of Geomancer in BOOK OF DEATH #1 (of 4) by New York Times best-selling writer Robert Venditti (ARMOR HUNTERS, Green Lantern) and blockbuster artists Robert Gill (ETERNAL WARRIOR) and Doug Braithwaite (UNITY, Justice)! 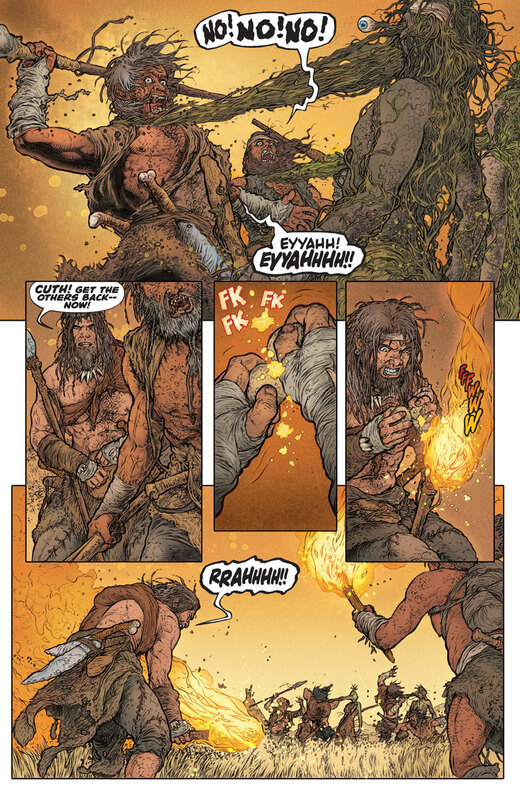 X-O Manowar. Bloodshot. Ninjak. The Harbinger Renegades. Unity. This is how they lived. This is how they died. Now we know. The Book of the Geomancer has recorded it all. 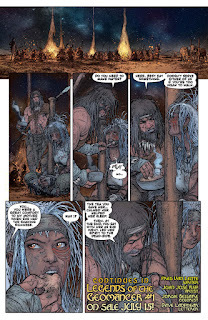 But only a young girl – the last in a line of the enigmatic mystics who protect the Earth known as Geomancers – has seen this future come to pass, from the coming cataclysm to the dawn of the 41st century. Alone with her sworn protector, the Eternal Warrior – a soldier battle-forged across five thousand years of combat – the duo must defy their allies to stop the Dark Age that now threatens to eclipse our world. Together, they are the number one target of every hero and villain on Earth. Either the Eternal Warrior hands her over…or they take him down. But can even he single-handedly protect one child when the entire Valiant Universe wages war against him? 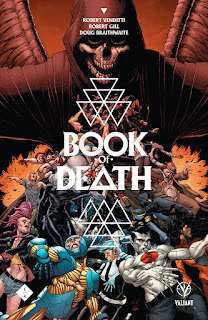 Featuring the last stands of Valiant icons, the first appearances of all-new heroes, and tantalizing clues of future events, BOOK OF DEATH is the gateway to the next decade of the Valiant Universe that will have fans returning to each issue for years to come! 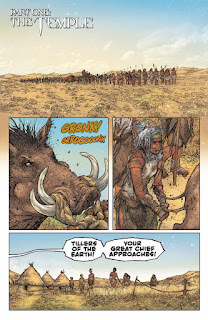 The summer's must-read comics event begins on July 15th in BOOK OF DEATH #1 (of 4) – and then the action continues in BOOK OF DEATH: LEGENDS OF THE GEOMANCER #1 (of 4), in stores the same day! *ATTENTION RETAILERS: PLEASE SEE THE DIAMOND DAILY OR VALIANT RETAILER EMAIL TO FIND OUT HOW TO QUALIFY FOR THIS LIMITED RATIO INCENTIVE. QUANTITIES WILL BE BASED ON ORDERS OF BOOK OF DEATH #1.